Over the weekend, I watched half of the Miss America Pageant. Having not watched it in several years, I found myself pleasantly surprised at the quality of the pageant. To start, the opening number was not about flashiness, clothes, hair or makeup, but simply about nice looking young ladies making a lasting impression in their 30 seconds at the microphone. Gone was the heavy makeup, big earrings, over sprayed hair and super tight clothing of years past. They do still have the swimsuit competition, but the focus seems to have shifted towards physical fitness and self confidence. When I heard that self confidence was a major component to the swimsuit competition, I was surprised. That idea has never occurred to me, but I can imagine that it would take an awful lot of self confidence to walk across a stage and pose in a two piece swimsuit on national television. The judges were each asked what they were looking for in each candidate and Rush Limbaugh's response stuck with me. He said the winner must, have "Poise. Confidence. Articulation. And she must like herself." In a Miss America press conference earlier Rush had said, “These girls are wholesome, solid, dependable and pursuing excellence…They are the best of what the USA is.” Rush hit the nail on the head. That is exactly what I saw of these young ladies while watching the pageant. I believe we should embrace these contestants as role models for our daughters, not the reality stars that pop up frequently on tabloid magazines for their latest scandal. These 53 Miss America contestants are smart, articulate, beautiful, amazingly talented, academically ambitious and community oriented. They possess a keen ability to work very hard to accomplish their rather large goals. 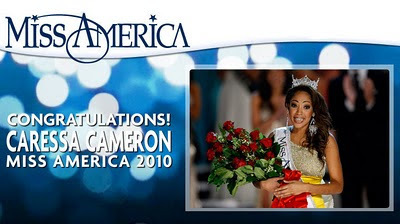 Many young women involved in Miss America, including the state and local pageants, go on to become very successful in their career fields. Examples include Gretchen Carlson, Delta Burke, Cloris Leachman, Mary Hart, Heather Whitestone and even Sarah Palin. After watching parts of the pageant, I am reminded that the Miss America organization is the world’s largest provider of scholarship assistance for young women. In 2009 they made available more than $45 million in cash and scholarship assistance! There are many knock off pageants out there that do not embrace the same positive role models for young girls and instead perpetuate the crass culture that is so prevalent in our society. Unlike these knock off pageants, the Miss America Organization attracts a quality of young woman that the younger generations can look up to. Next January, you will find me in front of the television with my daughter watching 53 amazing women who all posses poise, confidence, articulation and like themselves.